I love breakfast food and nothing makes my day brighter by enjoying hotdogs, corned beef, spam and sausages with egg and rice all day long. While it may not be a very healthy choice, I just enjoy this simple meal at any given time of the day. Then I found something new. Thanks to fellow blogger Leira who gave me a can. Century Tuna Loaf that actually tastes a lot like our local meatloaf only it's made of... TUNA! It may have a different taste but it was pleasant nonetheless. I brought it to work one day and while it may look pretty simple, I truly enjoyed my lunch that day. Partner this with a scoop of garlic rice and some scrambled egg and you're good to go! I'm glad that food brands are now looking for ways to give a healthier alternative to our breakfast favorites! Oh goody thanks for the heads-up! 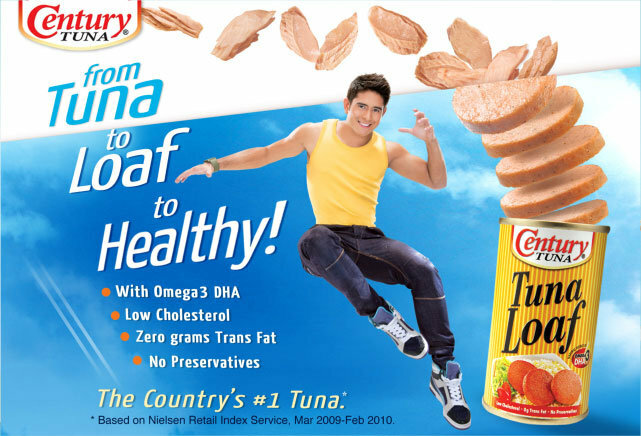 Century Tuna is my favorite canned food. 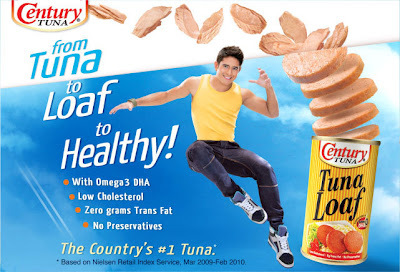 MiniStop used to sell Century Tuna siopaos and I loved those, too! This seems like a healthier alternative to ordinary meat loaf.